A friend and I recently commiserated about the ancient conundrum that is the reality of getting older and knowing less. How is that possible? I walk through the world, picking up bits of knowledge along the way, and yet it seems that I am an expert at very little (or, perhaps, nothing at all). When I admit this, though, let me be clear that I’m not looking for reassurance; this isn’t a moment of self-deprecation. Instead, it’s actually a source of amusement, to look around and see that the world is full of details that I just don’t understand. I can’t even picture what that looks like, though I’ve been trying. Sometimes I walk through the grocery store, marveling at what exists. If I start down the Road of Thinking, I wonder about how this stuff is made, tested, marketed, transported. For some of it, I honestly have to question how it even gets labeled as food. 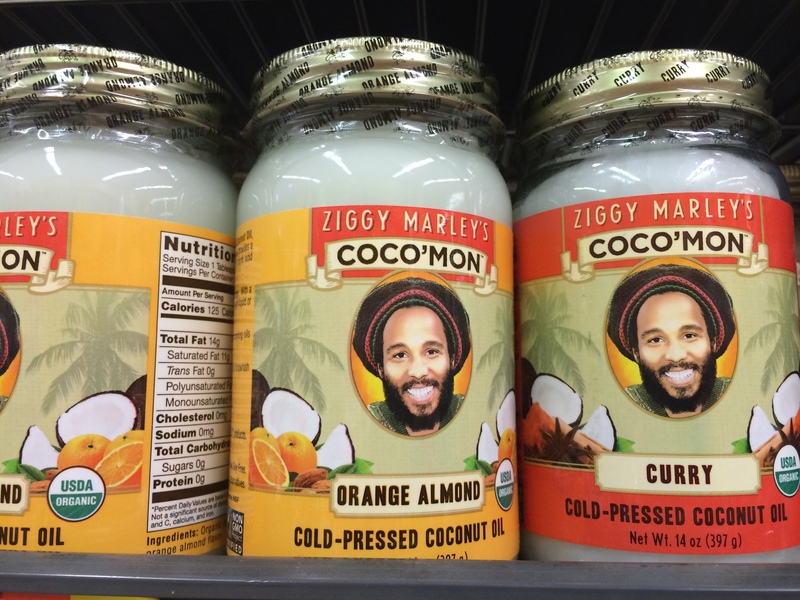 My question here is: how did Ziggy Marley get involved in coconut oil? And who designed this label? Because it’s awesome. 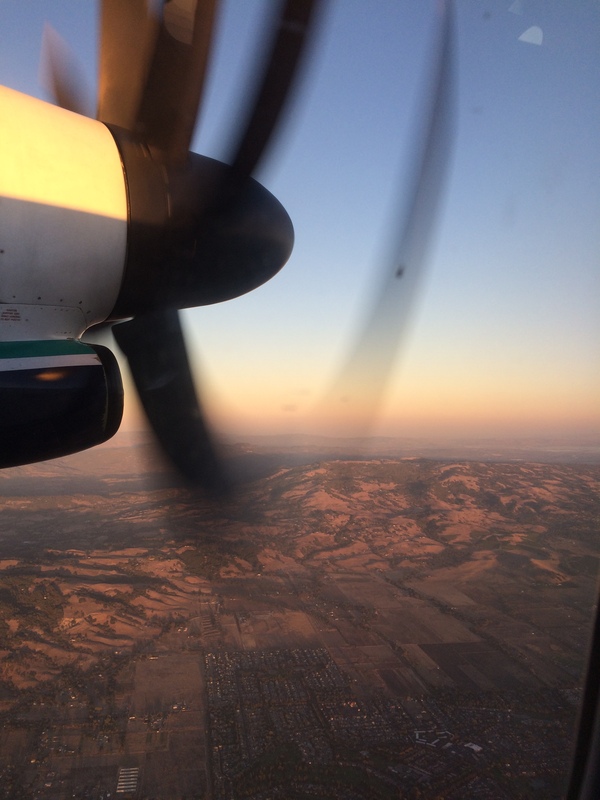 There are moments when I tune into how uniformed I am about bigger things, like flying. It’s almost inevitable, at some point when I’m on a flight, that I will start reflecting on how incredible – and how incredibly weird – it is. The questions are endless, framing everything from the structure of the plane and the design of flight paths to the algorithms that figure out which routes should be most expensive and where they store all the plastic food trays and tiny bottles of liquor. The question, as I’m soaring so high above the earth, is simple: How does this work? I often feel clueless about art, though I remember the words triptych and chiaroscuro from my undergrad days. Claude Monet is someone who makes me feel particularly humbled: how could he possibly see what he was painting, on such a grand scale, when he was in the midst of birthing every tiny stroke of his paintbrush? It’s mind-boggling. Of course, whatever the medium, art is always like that, granting a bit of insight into someone’s inner self. 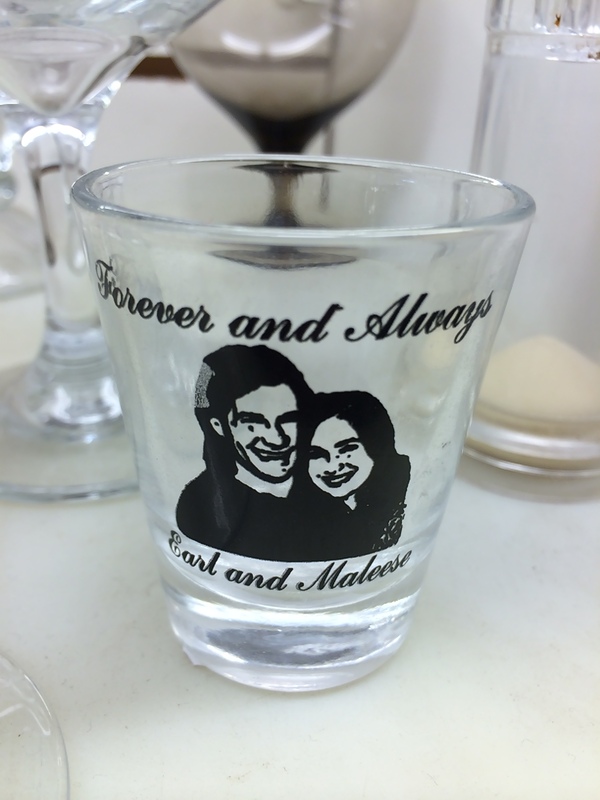 What event inspired the commemorative Shotglass of Love? And why did it end up in a thrift store? Back when I was 17, I was pretty sure I knew everything. I was that kid who would shout her opinions – loudly – from the rooftops, even when they were ill informed and unshaped. 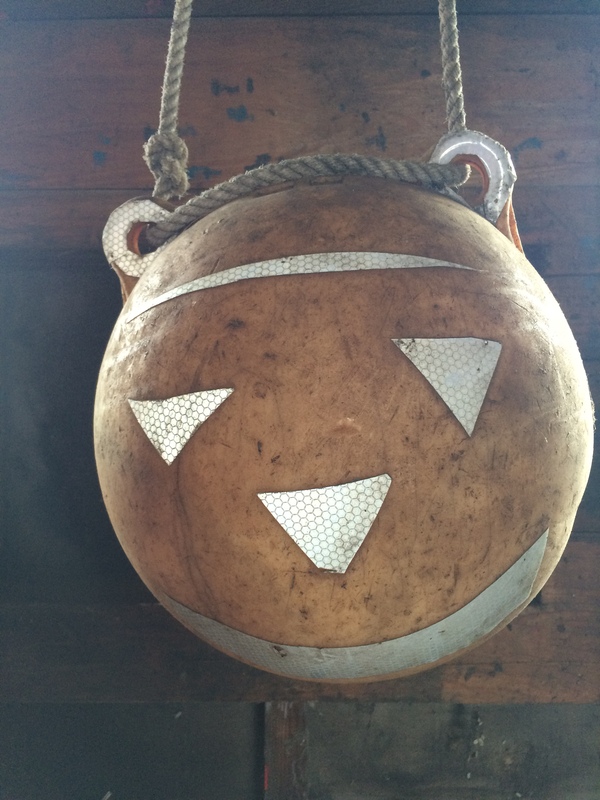 What evil mind turned this poor medicine ball into the stuff of nightmares? 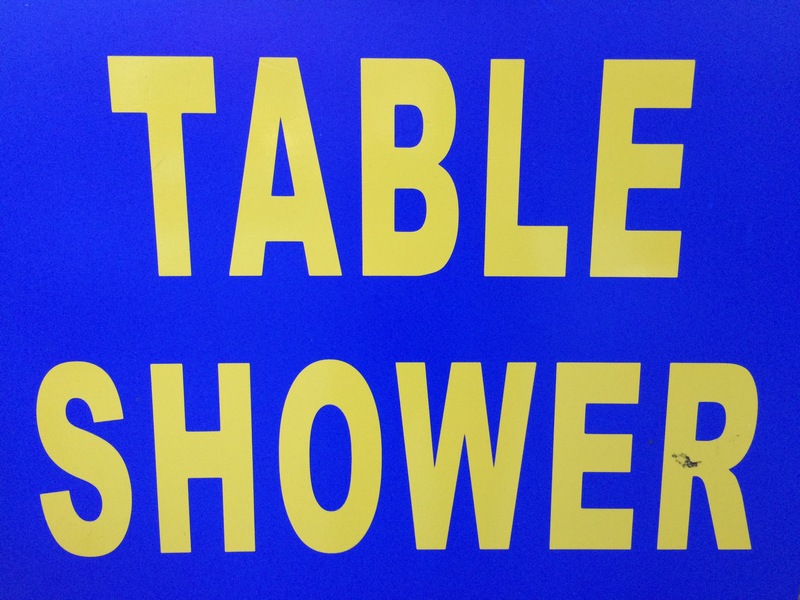 And – dear god – why? I don’t mind that, when I look back on it; I was a kid. But all these years later, as I walk through the world and note thing after thing after thing that I don’t understand, there is one piece of knowledge that I can solidly rely on: it sure is fun to be uncertain. Who are these men? Why are they in a parade? Do they feel at all self-conscious? Do they know they kind of rock? This entry was posted in Life. 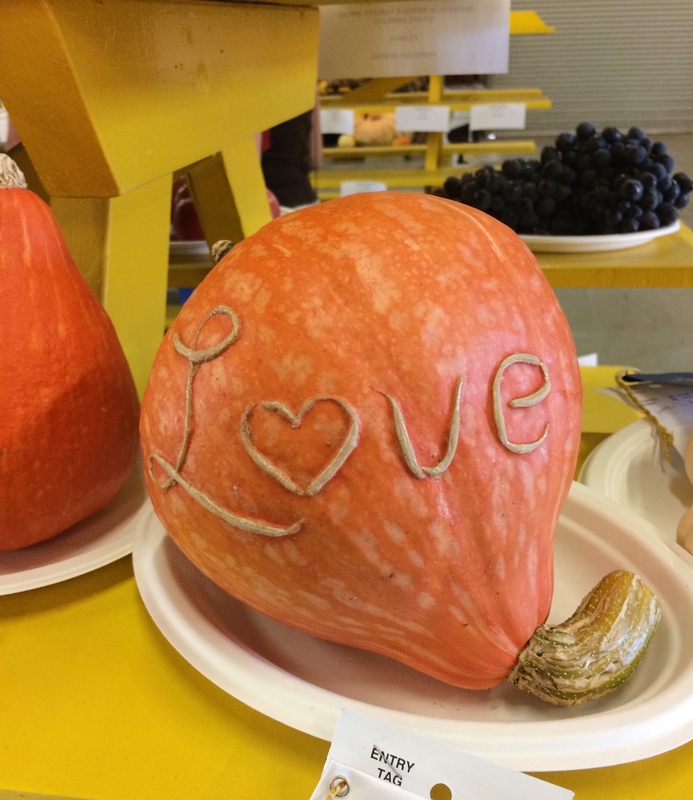 Tagged art, curiosity, flights, individuality, life, pumpkin, San Francisco, Ziggy Marley.